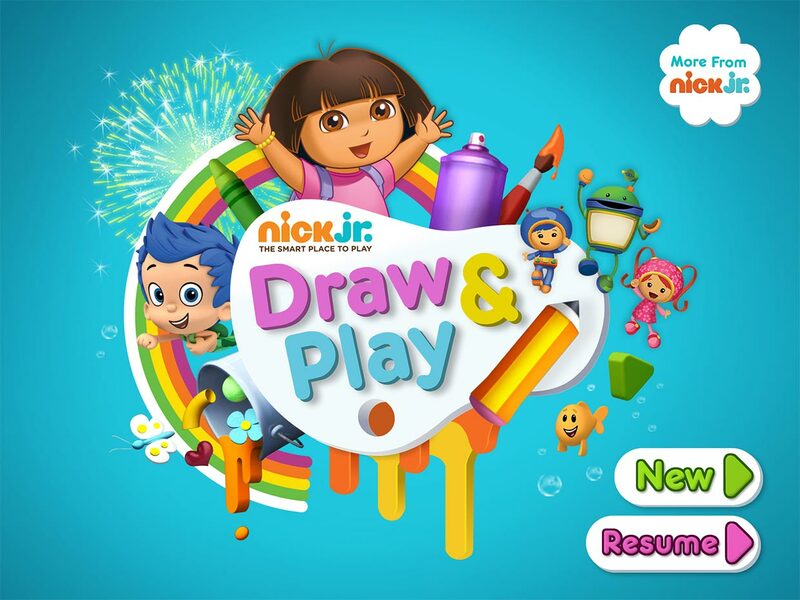 Nick Jr Draw & Play is an iPhone and iPad by Nickelodeon that lets kids can team up with Dora the explorer, Diego, Team Umizoomi and the Bubble Guppies to create amazing artwork -- and have fun! 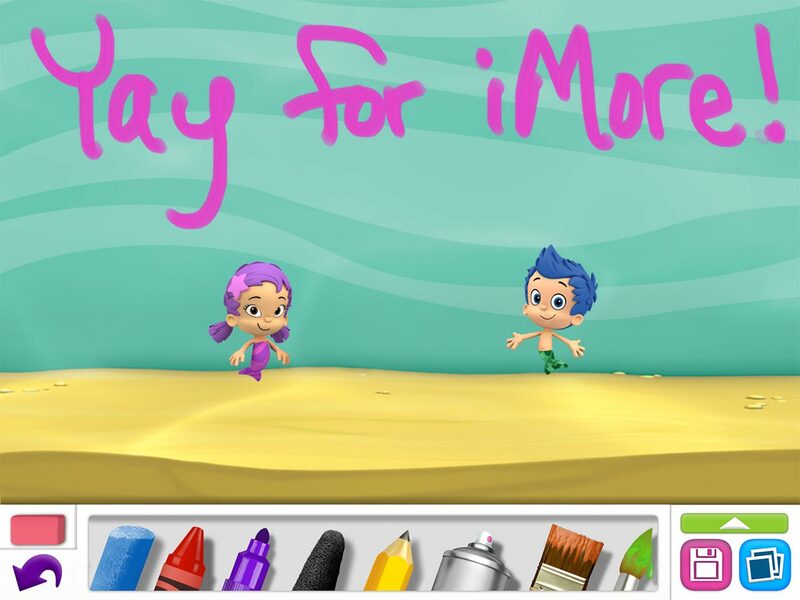 It features an easy to use interact with 8 different brushes for drawing and painting, 60 animated stickers, effects such as fireworks and magic wands, parental controls, and more. One of the things I really like about Nick Jr Draw & Play is that when you draw on a coloring book page, it forces you to stay on the lines without also automatically filling everything in for you. For example, in the screenshot above, once I start coloring in Dora's hair, all of my strokes made (without lifting my finger) were kept inside the outline of Dora's hair, even if my finger went outside of the lines. 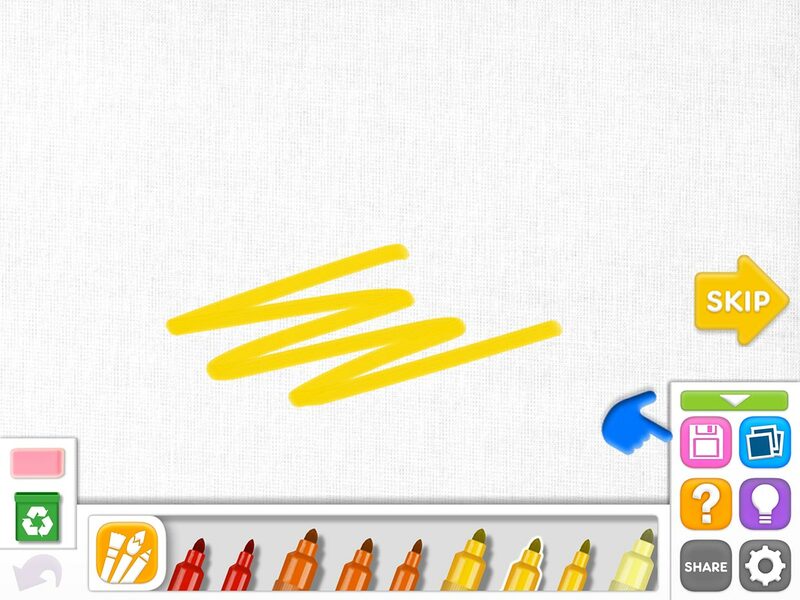 This is such a great feature for kids since staying in the lines when coloring on an iPad is much harder than with coloring with real crayons on real paper. 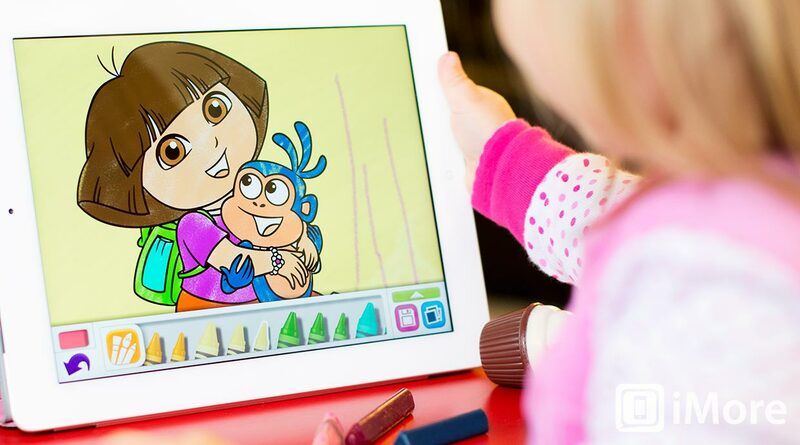 Nick Jr Draw & Play is packed with many different artistic options for your kids. The mediums they can draw and color with include chalk, crayons, markers, pencils, spray paint, and paint brushes. There are also stickers, animation buttons, greeting cards, and more for your child to get creative with. They can also choose to start with a blank canvas or one of the drawing from the coloring book that feature many Nickelodeon characters from the shows Dora the explorer, Diego, Team Umizoomi and the Bubble Guppies. When you child first plays Nick Jr Draw and Play, s/he will be guided through a animated tutorial that teaches them how to use it. Personally, I think it's not necessary as everything is pretty intuitive, especially for kids. Luckily, there's an option to skip it. Unfortunately, even if you skip the tutorial, it will start over the next time you launch the app and there isn't an option to disable it in the settings. Nick Jr Draw & Play is a great iPhone and iPad app for kids to draw, color, and create with their favorite Nickelodeon characters. At first I was skeptical that it was going to be a little lame because Nickelodeon knows that kids would ask for it because of the characters, but I realized very quickly that I was wrong. Nick Jr Draw & Play is filled with features that are sure to keep your child entertained over and over again.